The two day test, which fully involved nearly every team with the exception of Dale Coyne Racing and KVSH Racing, was truly uneventful. For IndyCar, its teams and drivers, that’s a positive development. Teams methodically tried out new aero kit parts and other pieces on track at IMS this week, but certainly didn’t aim for any new track records – Marco Andretti of all people was quickest at just over 223 mph. Both the April weather and the introduction of different winglets and assorted other pieces from Chevy and Honda saw to that. Of particular interest was the debut of controversial new domed skids beneath the cars, an effort to avoid last year’s airborne follies. Or as we referred to it, “Mark Miles’ Flying Circus.” In the unending search for the fountain of safety, it looks like the skids are here to stay. 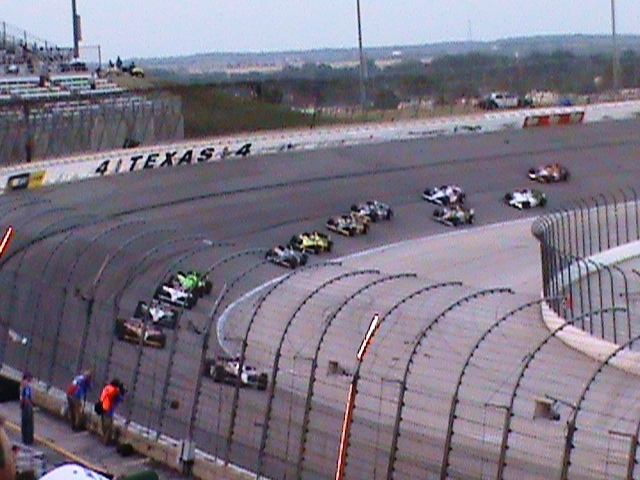 Here’s a look at some IndyCars on track during this week’s testing of the new aero kits. 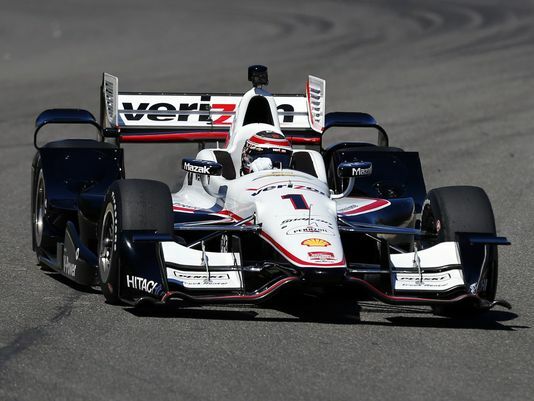 First is Will Power in the champion’s #1 Penske Verizon Chevrolet. 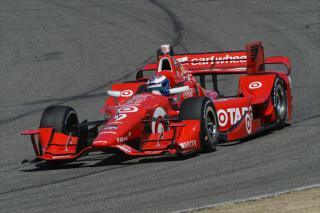 Next we have Scott Dixon in the #9 Target Chevy. Dixon turned in the quickest time of the first day of testing at Barber with a lap of just over a minute seven. Silly Season Standstill: As has never been said by anyone anywhere before, no silly season news is could silly season news. Swiss Miss Simona de Silvestro could end up at Andretti Autosport though nothing’s been announced officially yet. Same with KV and Coyne’s cars – they tested some new drivers as we noted last week but no official announcements have been made. We’ll have more thoughts on Simona in the future, but for now there’s been no movement on the possible final four seats for 2015 or any definite word they’ll all in fact materialize. This will soon change with crucial aero kit testing only a week away. Aero Kits Delivered & Desultorily Drubbed: As promised and amidst great secrecy, both Chevy and the ultra secret Honda aero kits were officially delivered last weekend to IndyCar’s nine teams who frantically began assembling the pieces on the cars. They’ve little time to complete their work before testing at NOLA, Texas Motor Speedway or Sebring officially begins March 13. The public Barber test will occur March 16-17 according to indycar.com, when all the teams will gather for the first time to test the new kits.